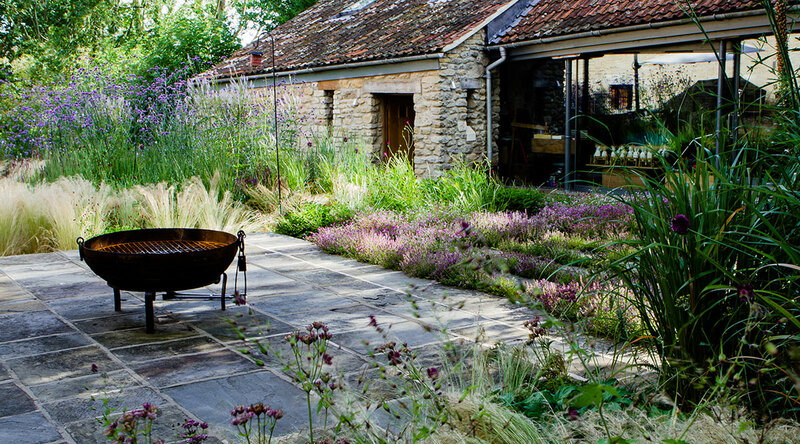 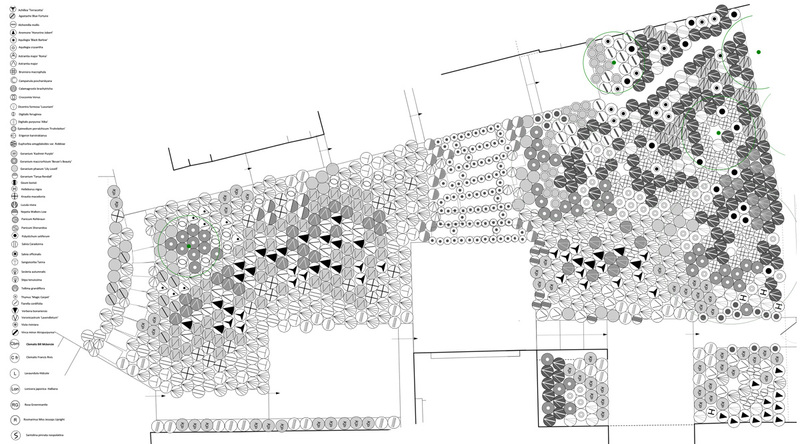 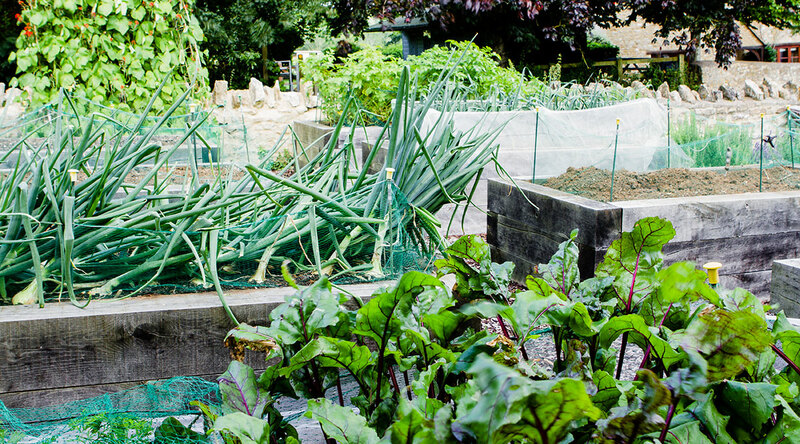 Our brief was to bring together a disjointed series of outside spaces to create a wild-looking and naturalistic garden. 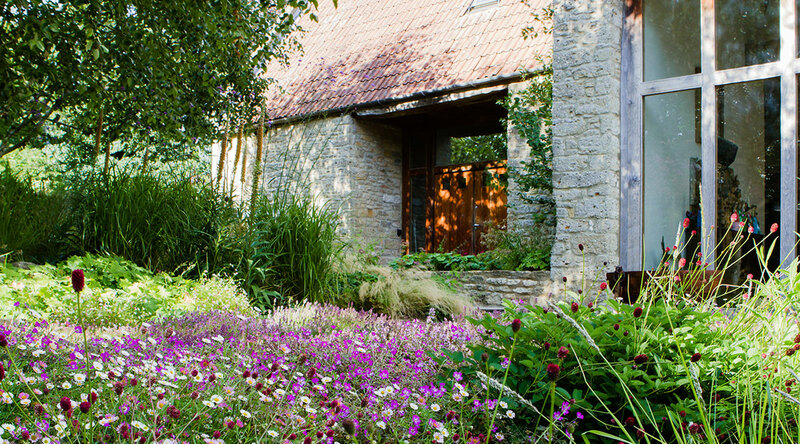 The wild garden is at the heart of the landscape, lying between the house and the old barns (which have been converted into a sculpture studio). 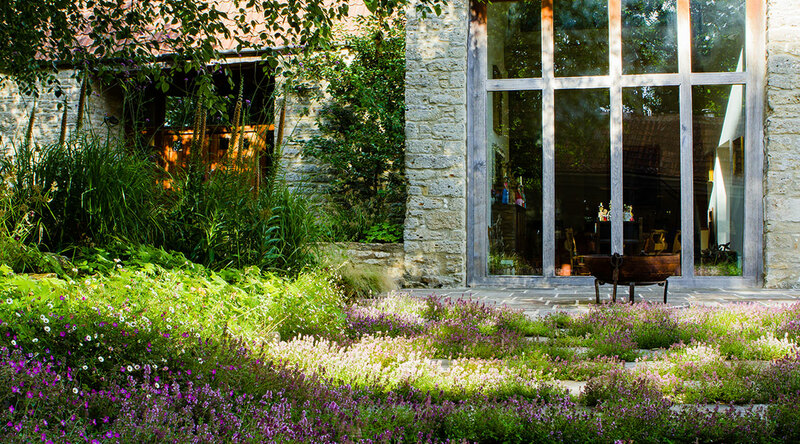 A generous stepping-stone path links the house to the studio, with thyme, geraniums and grasses colonising the gaps. 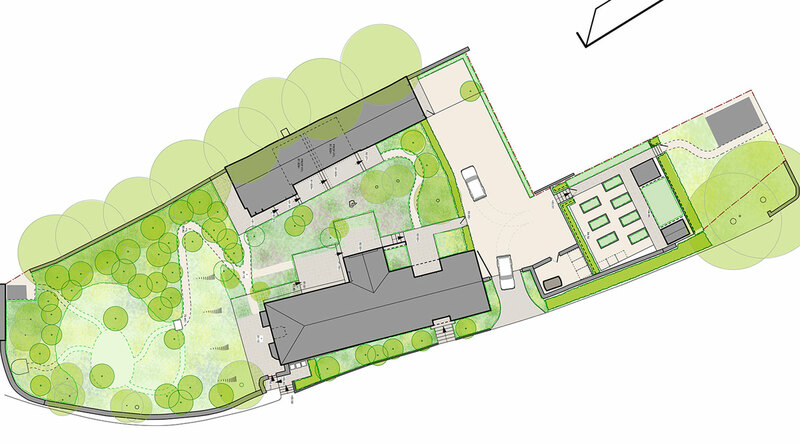 A lawn surrounded by meadow and trees lies to the west and a fruit and vegetable garden to the east on the far side of the entrance drive. 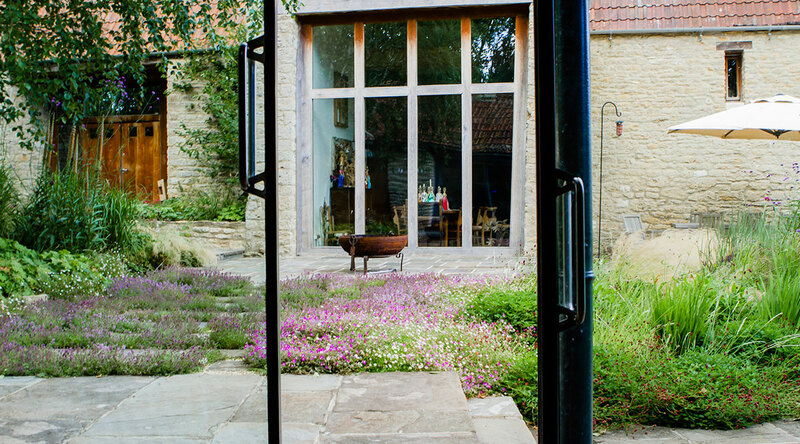 The owners are keen gardeners so the garden continues to evolve and has been gradually populated with sculptures adding to the unique feel. 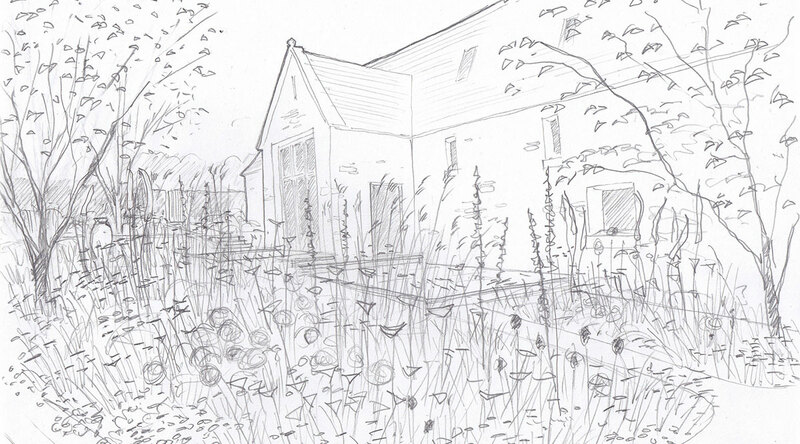 We used quick sketches to illustrate the proposed character of the garden. 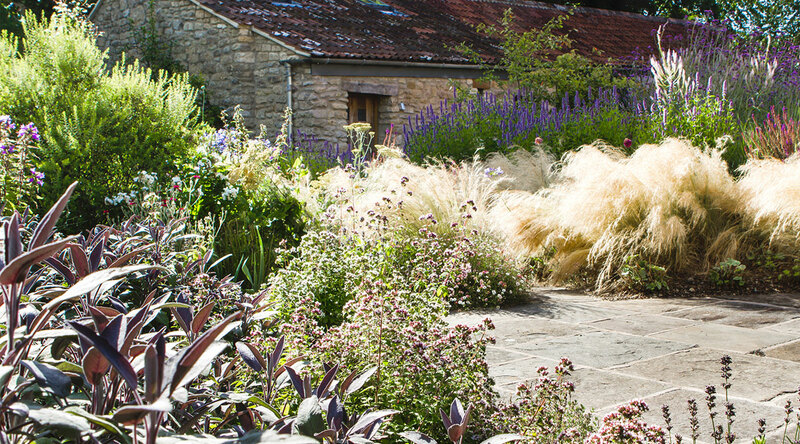 The planting is naturalistic and includes a lot of ornamental grasses that are left to stand through the winter for structure and interest. 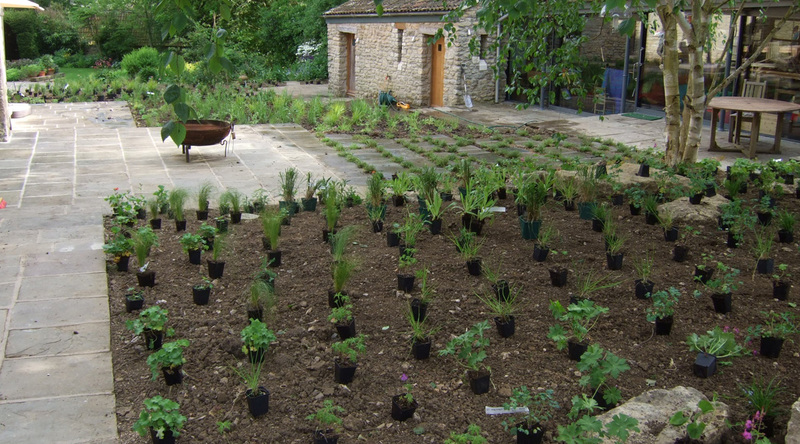 In almost all of our projects we will set out the plants on site. 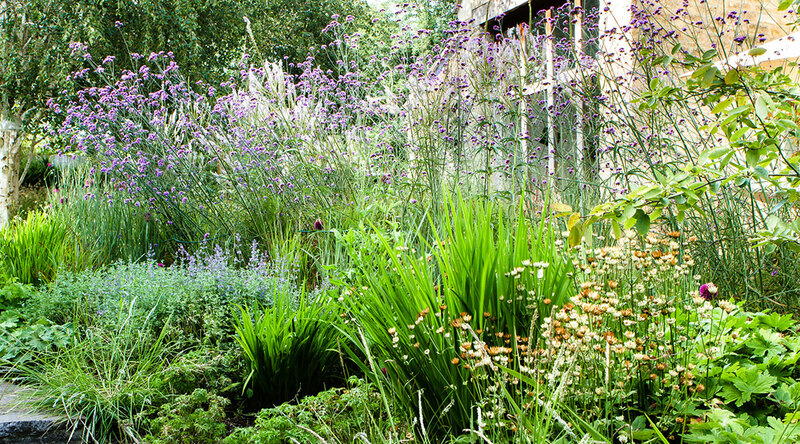 These are then planted by the contractor or, as in this case, planted by us together with our clients.